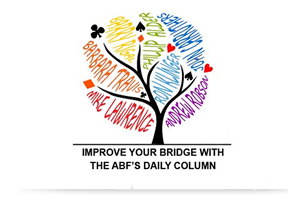 The ABF is committed to showcasing the final stages of major Australian bridge events over Bridge Base Online. The VuGraph function of Bridge Base Online (BBO) is used by organisers of national and international bridge events around the world. Users find it an excellent way of promoting bridge and highlighting the talents of the leading players in these world class events. The National Viewgraph Unit requires BBO operators to assist during events such as the SFOB, Australian Team Playoffs, the GCC, the ANOT, the VCC, the ANC, the SNOT and the GNOT. See below for a list of events in your state. Consult the ABF Calendar for exact dates and venues. Working as a BBO operator is now a paid position and full training will be provided prior to the event. If you are interested and able to help out at any time during these championships, please contact Traian Chira (from Victoria) or Ray Ellaway (from Queensland) at vugraph@abf.com.au. The documents below supply detailed information on how to go about running matches on BBO.